It's Wednesday, and not even a hurricane could stop this week's episodes! Though, I mean, it did, like, delay recording by a day, but still. The lads are joined by the comedian and writer, Martin Angolo (He doesn't have Twitter, but check out his Facebook page HERE) for chats about Hurricane Ophelia, how they weathered the storm, and the new RuPaul show, Skin Wars! They also chat about Matt Berry, Chris Morris, Monkey Dust, and Martin discusses his new show, More Jokes About Buildings and Food, and gives us one of the jokes that didn't make it into the show! It's Friday, and the lads are back in the Stags Head, and are joined by a journalist of renown, Caelainn Hogan (@CaelainnH) and by journalist and correspondent for the NPR show, Planet Money, Robert Smith (@radiosmith) to chat about things to see in Dublin and the joys of Guinness. They also discuss the institution that is Coppers, the newly diverse Matchmaking Fest in Lisdoonvarna, the march for Choice, and Ireland's road regulations! It's Wednesday, and the lads are back in the Stags Head, and are joined by a journalist of renown, Caelainn Hogan (@CaelainnH) to chat about getting the bus, and the cool world of sub-Saharan sub-cultures! As you can imagine, they discussed the new Star Trek show, Discovery for a rather long time, and right at the end are also joined by the journalist and correspondent for the NPR show, Planet Money, Robert Smith (@radiosmith)! It's a great one that's not to be missed! Our first ever live show in the Workman's on Sunday 24th of September, with guest Ryan Cullen! It was a huge amount of fun, as we chatted about Ryan's tiff with Piers Morgan, the worst student film ever, and a Boff Marry Kill from the audience! Thanks to everyone who came out, and those of you who listen to and support the show. We do this for you guys! Massive thanks to Headstuff for organising the festival. You guys are incredible! If you're in Dublin this coming Sunday, the 24th of September, come to our first ever live show, at the All Day Podcast Extravaganza! 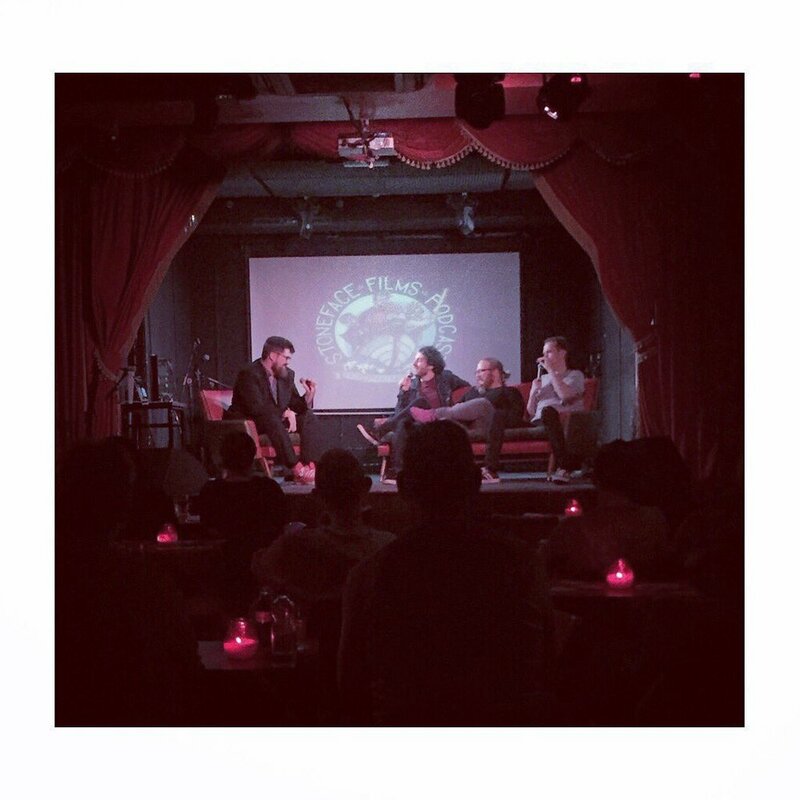 We're doing it as part of the Dublin Podcast Festival set up by the amazing Headstuff! You can get tickets at the following link: CLICK HERE! Damo had to leave, so we're back to an El Classico episode, but with Jon's phone broken we weren't able to access questions! Not to worry, the lads chatted about a whole manner of things! They had a brief chat about the fantasy football, Davey's new character for Dungeon's and Dragons, the Juggalo March, Star Wars, and Mother! It's Wednesday, and the absolutely hilarious comedian Damian Clark (@DamianClark) stopped by to chat about his new baby son, Max, work lunches, and school rugby trips!